Love is the answer and you are the key to unlocking its potential. 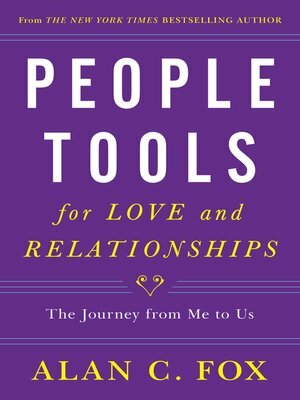 From the popular New York Times best-selling author of the People Tools series comes People Tools for Love and Relationships. With 49 easy to use tools, Alan Fox's latest installment will teach you how to create and maintain great relationships with immediate results. Finding love isn't always easy. Being in love and sustaining that love can be even harder. Alan Fox is full of practical advice and guidelines for keeping things fresh and celebrating love in all its manifestations. These tools are specifically designed to teach you everything you need to nourish a long and fulfilling relationship. Each tool is fleshed out with colorful anecdotes and Fox's own discerning insights. It's time to take full responsibility for creating and maintaining your ideal relationship. Stop blaming others—the key to a great relationship is you. · Find the right way to say "I'm sorry"